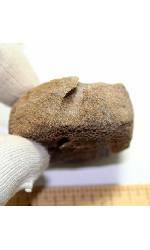 Description Coral disc with accession number showing (HMR accession #150Z[?]-33.18). Digital access image. 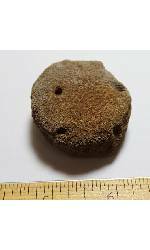 Description Coral disc (HMR accession #150Z [?]-33.18). Digital access image. 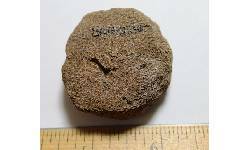 Description Side of coral disc (HMR accession #150Z[?]-33.18). Digital access image. 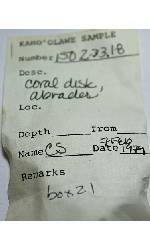 Description Artifact information slip for a coral disc/abrader (HMR accession #150Z[?]-33.18]. 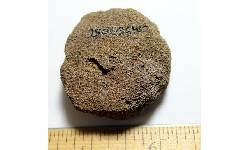 Digital access image.